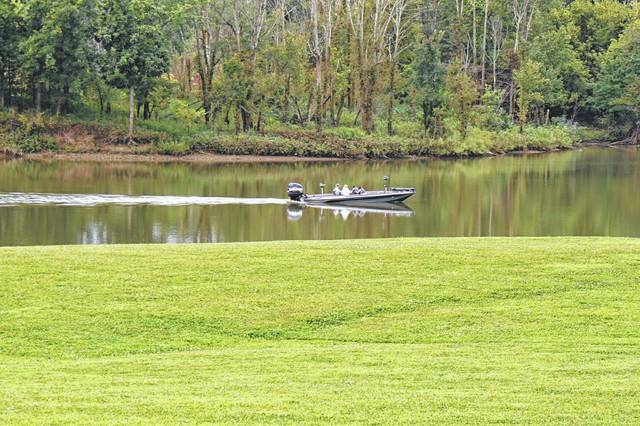 On a calm Tuesday morning that attracted a number of boaters and anglers, state and local officials talked about recent and upcoming improvements at Delaware State Park. The park is popular for many reasons, such as its 18-hole disc golf course, bass and crappie tournaments, canoeing and kayaking, and even being the site of the swimming portion for the Ironman triathlon. 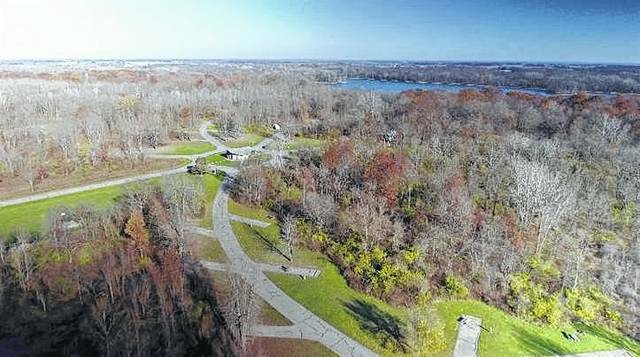 Locals and out-of-state residents also like the state’s 74 parks because Ohio is one of seven states that don’t charge admission. But there are some issues that have to be addressed. The last two state budgets have provided nearly $130 million in capital improvements for the park system, and 5 percent of park revenues are re-invested in the maintenance and repair of existing infrastructure. Officials called it an investment in the state’s future, contributing to Ohio’s $43 billion tourism industry. Improvements to Delaware State Park included a new paddle dock launch for canoes and kayaks that is compliant with the Americans with Disabilities Act, a new restroom at the southwest marina, and improved water lines at the campgrounds. Next year, parking lots will be repaved and shower houses at the campgrounds will be upgraded. A storm prior to the Ironman has led to converting the Nature Center into a centrally-located, Federal Emergency Management Agency-approved shelter area. “We’re going to keep it clean and safe,” Zehringer said of the park. Mike Miller, chief of the Delaware Wildlife Area, said his staff recently improved access to three fishing ponds, stocking them with channel catfish. Other improvements include new targets, holders and yard markers at the archery range, and three new water control structures at the marsh for waterfowl hunters. Since the shooting range is closed for repairs, the ODNR has partnered with nearby Cardinal Shooting Center to allow public shooting at their facility. Tom Twigg and Jake Spangler of Cardinal both said they were excited about the partnership and that their venue focused on safety and customer service. “We’ve got a lot going on at the Delaware State Park and the Delaware Wildlife Area, and with the Division of Watercraft working together with the Department of Natural Resources, we’re able to get a lot of different things done at the parks,” Miller said. A fisherman explores one of the coves of Delaware State Park. An overhead view of the eastern part of Delaware State Park. 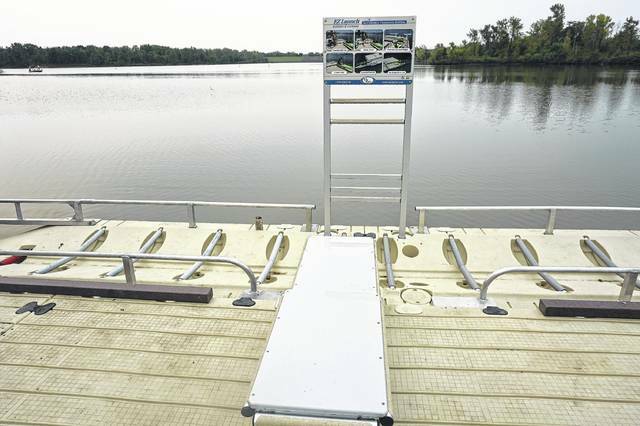 A new ADA-compliant kayak ramp and dock is now in place at Delaware State Park. It’s one of several improvements to the facilities made by the Ohio Department of Natural Resources. Delaware State Park is at 5202 U.S. Route 23 North, Delaware, Ohio 43015. For information, visit parks.ohiodnr.gov/delaware or call 740-363-4561. Cardinal Shooting Center is at 616 St. Route 61, Marengo, Ohio 43334. For information, visit www.thecardinalcenter.com/ or call 419-253-0800.